It is recommended that you recharge your air conditioning system every 2 years with gas and lubricant. When did you last have your car air con checked? The service is not included in routine car services and for that reason, is often overlooked by technicians. Neglecting the air conditioning system in your car can be both dangerous and costly for the day-to-day running of your vehicle. Don’t run the risk by buying a DIY car air conditioning regas kit. At Western Auto, we keep the process simple yet comprehensive. Our technicians are fully-trained to get your air conditioning system working to its full potential. We begin by taking a temperature reading from your air conditioning system. We remove all the old refrigerant oil, gas and dye to clean out the whole system and remove any moisture within. Once the system is thoroughly cleansed, we inject new oil, gas and dye before taking another temperature reading. The process ensures that the air con regas maintenance has made a vast improvement to your cooling system. Our certified mechanics in Melbourne are on-hand to advise you of any necessary repairs or follow-up checks. Why Should you Have your Air Conditioning Checked? With so many aspects of your vehicle that require regular attention, car owners often neglect their air conditioning system. 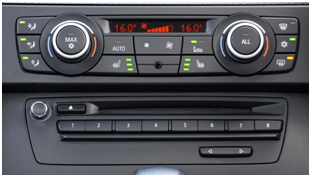 At Western Auto, we offer car air conditioning regas Melbourne wide and we highly recommend you take advantage of our great prices. You may be able to pick up a car air conditioning regas kit online, but we recommend consulting the experts for complete peace-of-mind. Our service includes an inspection of your gas pressure. When the gas pressure drops, this results in a loss of cooling efficiency. In turn, your engine has to work harder and causes higher fuel consumption. Your air conditioning system has dehumidifying properties to reduce misting on your windscreen, offering a safer, more comfortable drive. Don’t leave it too late to have your car air conditioning system checked. Enjoy the benefits of a properly functioning air conditioning system on a hot day, with its dehumidifying and fuel efficient properties. We pride ourselves on our complete air conditioning services around Melbourne areas, including Tottenham, Brooklyn, Maribyrnong, West Footscray, Yarraville, Braybrook, Sunshine West, Sunshine and Maidstone. Simply fill out on the online form here or call us on 03 9314 6522 to send an enquiry or make a booking.